Being a capital city, there is a wealth of holiday lettings in London, across all boroughs. Rooms are fully prepared for your self-catering stay, supplied with linen, towels and everything that you would expect of holiday accommodation. Rent a house to possibly have a garden, most probably quite small but still nice to sit out in during warmer months. Modern holiday apartments may have balconies and luxury apartments could have a basement swimming pool. In some respects, it does not matter too much where you rent in London the city has a large underground train network, called the Tube, which offers a fast and largely reliable service. London buses are also a good option. There are also black London cabs which although good for getting around, are an expensive choice. Driving in London is not advised due to congestion and lack of parking opportunities in the city. London is a vibrant city with a vast number of attractions for almost every taste. There are a large number of world famous museums and galleries, a huge choice of bars and restaurants and shopping opportunities galore particularly around the world famous Oxford street and Regent street areas. Covent Garden and Camden market attract many with their artisan crafts and goods from all over the world. The London eye offers a bird's eye view of the city. London is also of course famous for its West End with theatres galore and entertaining musicals. Further outside the city centre are the attractions of Greenwich with its observatory, large park and great views of the city. Greenwich is also a smart place to stay close to the Thames with a good choice of apartments available. Kew Gardens are also popular with visitors looking for an oasis near the ‘big smoke’. Sometimes it is possible to rent a houseboat on the River Thames which is delightful because of the riverside settings and tranquillity in the heart of the city. The main international London airports are Heathrow and Gatwick and there is also the more centrally placed London City airport. If you are looking for a self catering stay relatively near London where you can get in to the city but also enjoy the beautiful English countryside, why not consider renting a country cottage in one of the Home Counties near London? 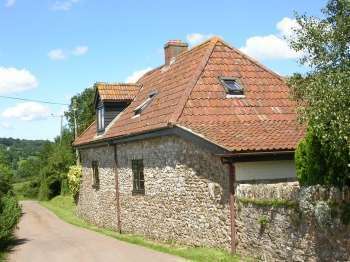 Self catering country cottages, holiday cottages, apartments, country houses and all types of self-catering holiday homes in London England, UK near a golf course. 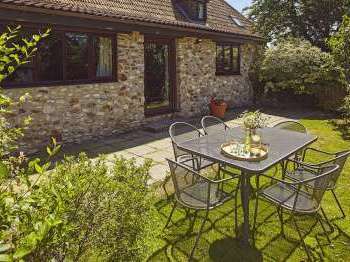 Self catering holiday cottages, apartments, houses and other types of self-catering accommodation in London with a local pub nearby for sociable evenings and the convenience of meals out. Apologies we have no country cottages or holiday lets in London currently. We suggest that you take a look at holiday lets in England. 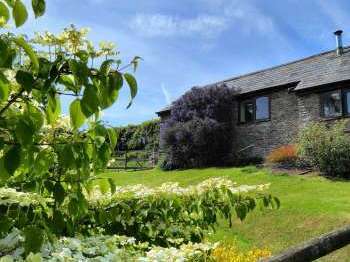 Alternatively our Search Assistant can help you find a suitable holiday cottage in England. Why not take a look at available England?